The Rewired Cyber Security conference at Rewired explores the latest developments in information governance and strengthening cyber security vigilance and resilience across UK health and care. The UKCGC’s principal aim is to provide support for Caldicott Guardians and others fulfilling the Caldicott information governance (IG) function within their organisation. As an official Rewired partner, the UKCGC will bring ideas and perspectives from those leading information governance best practice in the NHS to help develop the programme, with chairman Dr Chris Bunch joining the Rewired programme board and speaking at Rewired. Dr Bunch, who is a consultant physician, Caldicott Guardian and acting CIO at Oxford University Hospitals NHS Foundation Trust, will be speaking about supporting the NHS in the safe and effective use of patient data. 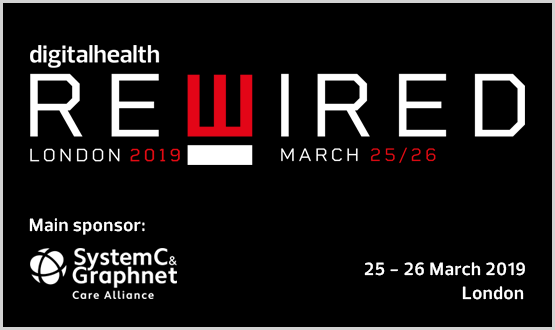 Rewired will demonstrate the ways that technology can successfully be harnessed to improve and integrate health and care services in the context of increasing threats to cyber and information security. “We welcomed the opportunity to address Rewired’s high-calibre audience of NHS IT leaders to promote the latest guidance on Caldicott principles for managing data sharing across both health and care providers” he added. Register for Rewired Conference and Exhibition to learn insights from healthcare’s experts in cyber and IG, along with CIOs who are recruiting new strategies, tools and capabilities.